Voluntary Scientific Year at the LZH increasingly popular | Laser Zentrum Hannover e.V. More and more high school graduates are applying for a Voluntary Scientific Year (FWJ) at the LZH. Nine successful applicants are actively involved in LZH projects until the end of August 2019 - for example, in the field of optical systems for space. Done with the Abitur? Interested in science? Young people in who answer both questions with "yes" can apply for a FWJ place every year until 31 March. "In our department alone, 16 applications were submitted this year," reports Jan Steinbeck from the Laser Components Department at the LZH. 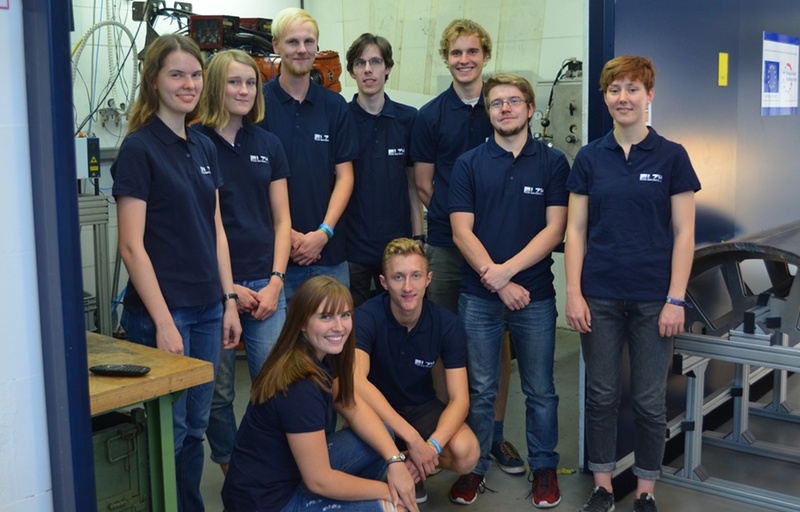 Four young women and five young men started their FWJ in laser research on 1 September 2018. This article was published in the online magazine phi – Produktionstechnik Hannover. Please click here to read the full article at the phi website.